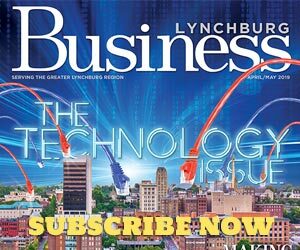 Lynchburg Stone & Brick Builds a Solid Business. For as long as we’ve had roofs over our heads, we’ve needed the materials to build them. In just a quick review of primitive architecture, you’ll see that homes were once constructed out of whatever resources were made available: Hides, mud, wood and stone. While you won’t find as many homes made out of mud anymore, one resource has remained strong and constant: Stone. Lynchburg Stone & Brick, located on Carroll Avenue, is keeping homeowners and contractors well-stocked with stone and brick in and around Central Virginia. Lynchburg Stone & Brick is one of the only businesses in the Virginia area that makes and manufactures stone. Different from natural stone, which is quarried and cut into various shapes for different uses, manufactured stone (also known as cultured stone or man-made stone) is a mixture of cement and other materials that’s poured into a mold and allowed to harden. The benefit of choosing a manufactured stone versus a natural stone is the customization options available to a customer. “If you come in and you like a particular color, but it’s a color you want to change to match something that you have, we have the capability to match easily,” said Campbell. Customers who visit Lynchburg Stone & Brick will have the ability to visualize exactly what their project could look like when finished. 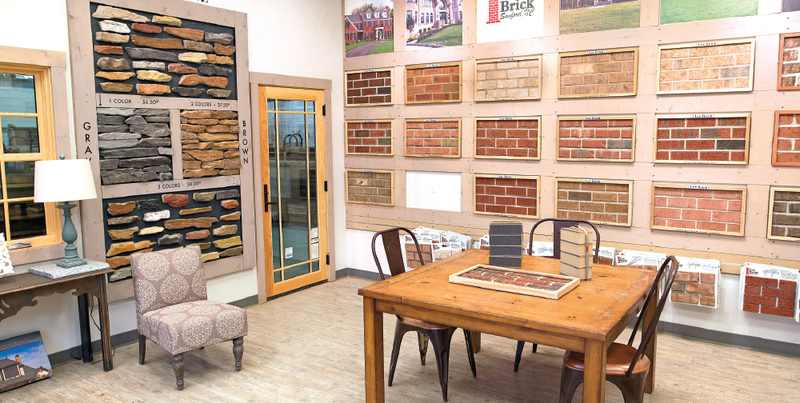 With a full wall of stone, color and product options to choose from, if a customer sees a product that they like, the team at Lynchburg Stone & Brick will lay out an entire pattern to help the customer see the full picture. If a customer sees a specific pattern or texture they want, but not the exact color, Campbell says they can take care of that too. At Lynchburg Stone & Brick, a customized stone color order can be complete in just 48 hours. This type of customization has created quick growth for Lynchburg Stone & Brick in its first year of business. Currently serving the Lynchburg area primarily, but they partner with a North Carolina company for stone, so their reach is already widening. As they continue to grow here at home, Campbell anticipates their footprint will grow as well. Lynchburg Stone & Brick keeps examples of houses they’ve provided stone for on their social media feeds to help customers fully grasp what their own projects could look like. And, at just four dollars per square foot, stone is an affordable option for customers considering a change to the interior or exterior of their home. But stone isn’t all that Lynchburg Stone & Brick provides. With three unique lines of brick that are made available to homeowners, DIYers and contractors, Lynchburg Stone & Brick is a go-to resource for masonry needs. “We offer an extruded brick, a wood mold brick and a tumbled brick,” explained Campbell. Extruded brick is the most common type of brick found on the market today. Using a relatively low moisture clay, extruded bricks are highly uniform, which makes them ideal for a large construction project. Wood mold bricks can be differentiated from extruded bricks by their lack of holes—or “core”—in the middle. Wood mold bricks’ top and bottom surfaces are not distinct from one another, which makes laying them a quick and seamless process. And, finally, there is tumbled brick, which Campbell says aren’t as popular but are beautiful because of their texture and imperfections. “Extruded [brick] is a no-touch as far as labor goes. Tumble brick goes through a tumbling process to distress it, and a wood mold brick is a solid brick with no holes in it, but it requires a lot of labor in the manufacturing process,” said Campbell. Naturally, with different degrees of labor comes different degrees in cost. Campbell says that the simple extruded brick can cost roughly $330 per thousand bricks, whereas the wood mold brick will cost a customer up to $700 per thousand bricks. “It’s mostly based on aesthetic and preference,” Campbell concluded. Campbell says the benefit of choosing to work with their company for stone and masonry needs versus a big box or wholesale retailer lies in the customer experience, the customization options and the ability to support a local business. Learn more at www.lynchburgsb.com or visit Lynchburg Stone & Brick at 2425 Carroll Avenue from 8 a.m. to 5 p.m. Monday through Friday.